Align Brooklyn opened its doors on September 19, 2014, but the idea was actually 20 years in the making. The studio is co-owned by Pamela and Christopher Brown, whose first experience owning a fitness business was in 1998, when they moved to LA and opened Gravity Fitness, a personal training company in Venice Beach. About a year later Dr. Brown opened a chiropractic and functional nutrition practice in Santa Monica, called Health Coach Wellness Center. When they moved back to Brooklyn in 2005, they immediately looked for spaces to open a chiropractic and functional training facility, but after hours of business plan writing, floor plans and lists of marketing ideas, they just couldn’t quite find the right fit. In May of 2014, Christopher completed his 200 hour yoga teacher training and a ‘For Rent’ sign miraculously appeared in the 2nd floor window of 579 5th Avenue. Some things are just meant to be. After all the years of writing business plans, looking at spaces and imagining what an ideal studio could be, Align Brooklyn was born. Over the last 4 years, Align Brooklyn has become an open and inviting space for people of all abilities to experience body positive classes and chiropractic services. We strive to keep a laid back, yet professional and high-quality atmosphere. Align Brooklyn believes that the environment in which we live is inextricable from our wellness. 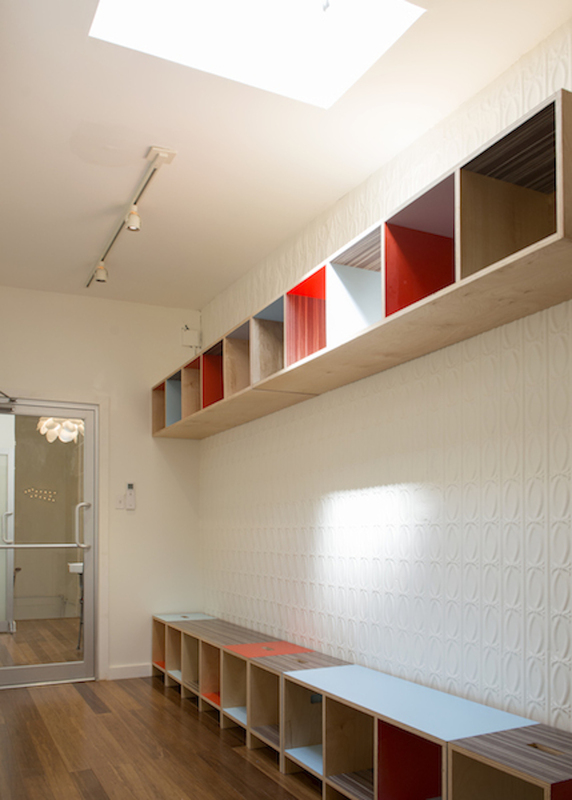 Our studio was built with sustainable materials including bamboo flooring and low VOC paint. We use non-toxic cleaning supplies, essential oils and safe scents. We are powered by solar energy. We do not sell water in plastic bottles for both environmental and health reasons, but provide complimentary 5 stage filtered water. Align Brooklyn is a wellness community bound by breath, love & commitment to empowering each other to live our best lives. We believe that the strength of our community lies in our diversity. Our community members come from all walks of life, races, genders, ethnicities, religions, sizes, and shapes. All of our classes are open and suitable for all fitness and flexibility levels. All are truly welcome! Join us!